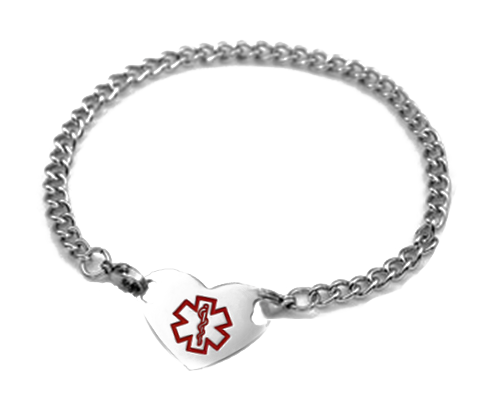 Stainless steel heart medical ID curb chain ankle bracelet anklet with large medical alert symbol. I bought this 3 years ago. I put it on and have never taken it off. Very durable... it is made with fine quality material. I have had several comments on where did I purchase this. I have been more than pleased with it.